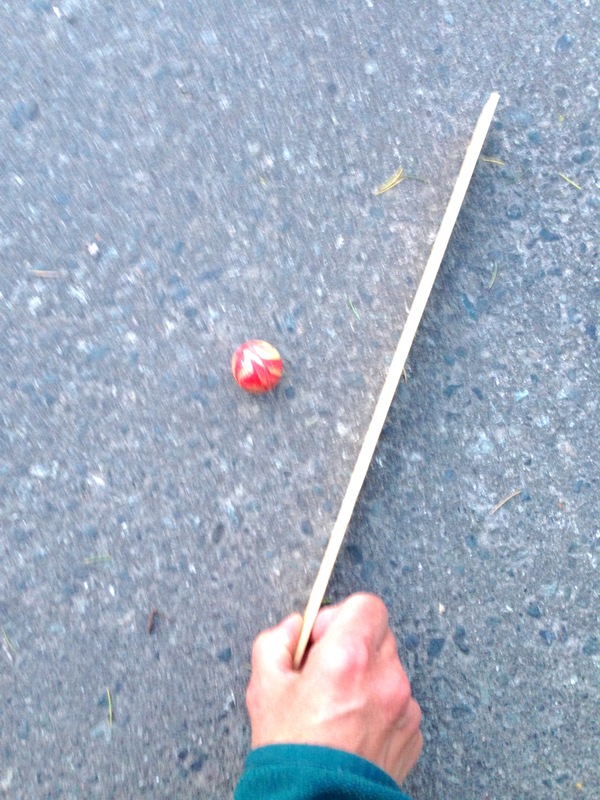 Hit a ball (or coin) with a stick, showing class 3 lever action. 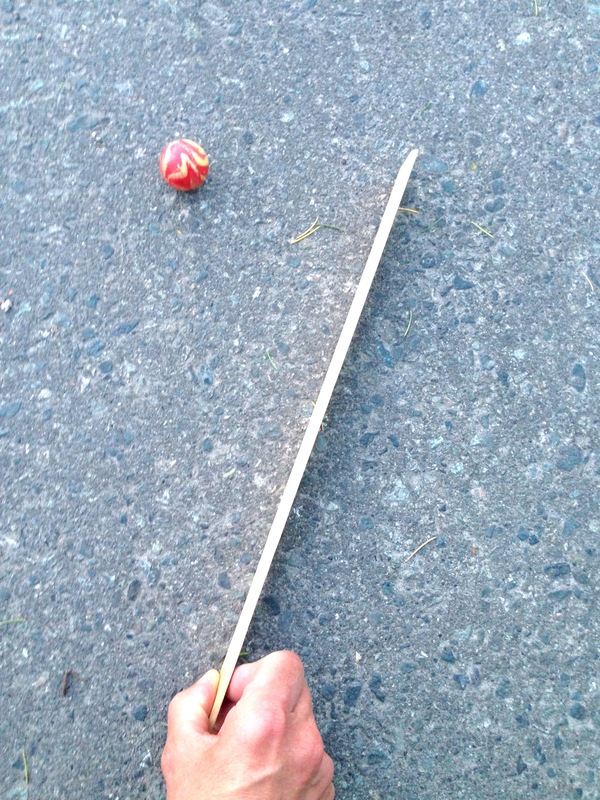 Compare how far the ball moves when it is hit with different parts of the stick. 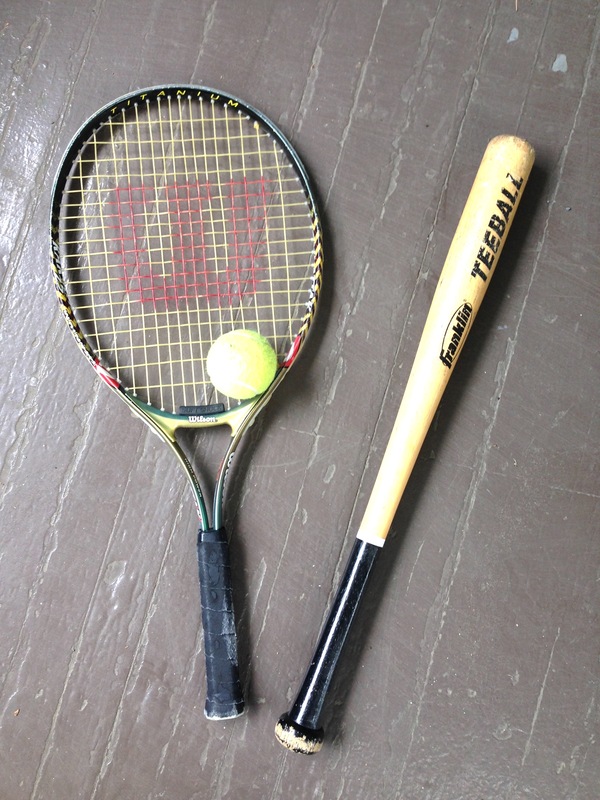 Relate to how baseball bats and tennis racquets work. Introduce the sports equipment, ideally with a game, or show the equipment. 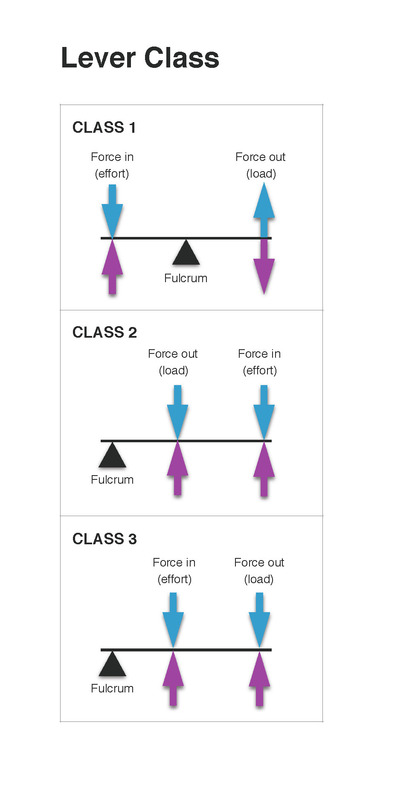 Demonstrate how it is a class 3 lever, with the length of the equipment being the lever arm, the hand gripping at the end is the fulcrum and the other hand (most sports) or the index finger of the fulcrum hand (tennis racquet) produces the force of the swing (the "force in" on the image, or the "effort"). The ball will be hit at the other end of the lever from the fulcrum (the "force out" on the image or the "load"). 1. Hold a paint stick on the ground, and rotate it from one end (this is the fulcrum at one end of the lever and the force in just above it). Using the same force to swing the stick each time, either place a ball at the centre of the stick before hitting it, or at the end of the stick (away from the fulcrum) before hitting it. With several trials to ensure reproducibility, the ball hit with the end of the stick, rather than the centre, should go further. 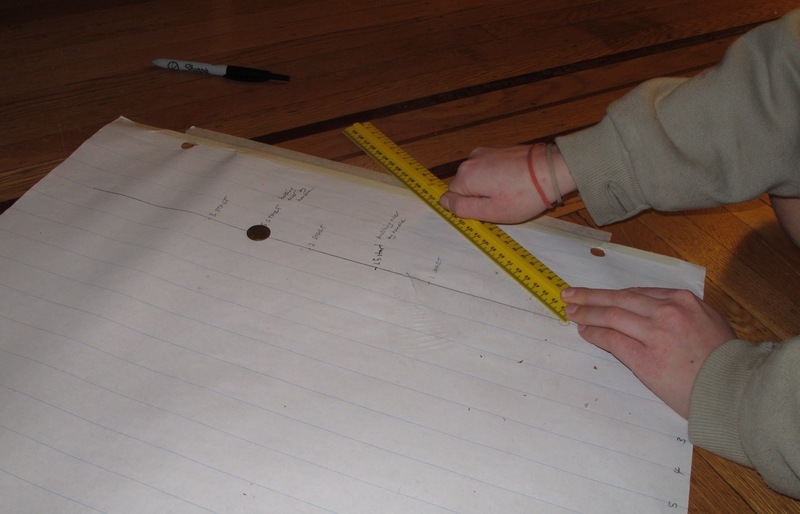 This is because the end of the stick moves faster (and further) as the stick rotates, than the centre of the stick. Therefore the end of the stick can transfer more energy to the ball and make it go further. or 2. On a smooth floor surface with coins. Hold the paint stick (or ruler) at one end, use the other hand to hold the stick a little further up and rotate it so that it swings. Place coins at varying distances from the fulcrum, making sure they all start on the same vertical line, and swing the stick with the same force each time. (Optionally mark a point to which the stick is drawn back to, then swing with as much force as possible each time, to be consistent.) 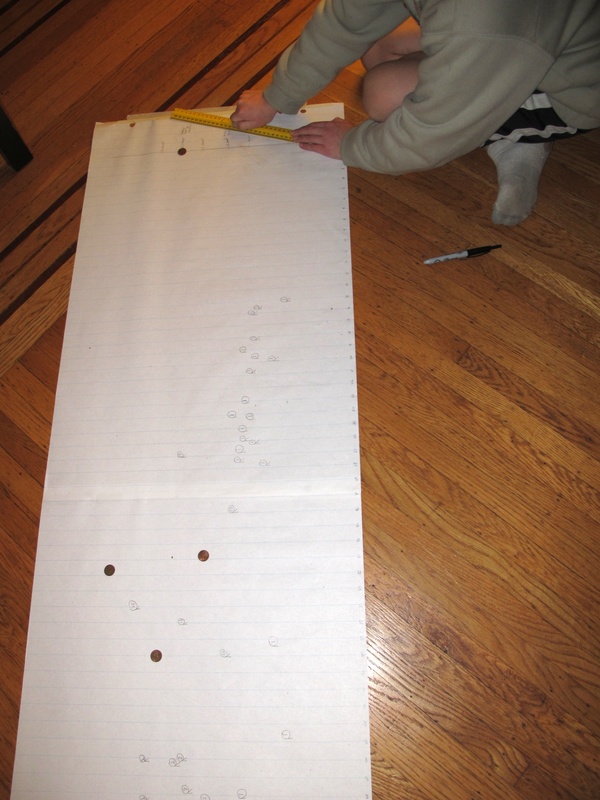 Note how far the coins slide with varying distances from the fulcrum - if this is done on a long piece of paper, the distances the coins move can be marked each time. The coins should generally go further when they are hit with the end of the stick, rather than the centre. Do several trials and look at the average to see this result. The same principal applies when using a tennis racquet, hockey stick, baseball bat etc: the equipment length is the lever arm, the hand at one end is the fulcrum, and the other hand (or the index finger in the case of the tennis racquet) is the force in or effort. The force out at the end of the lever arm is the greatest, as the lever is moving fastest there, so the player tries to hit the incoming ball as near to the end of the equipment as possible, to make it go as far as possible. Note that although the end of the lever arm is moving the fastest, it will actually have less force per unit distance than nearer the fulcrum. But as the ball is relatively light compared to the equipment this does not matter. Tennis racquets, and hockey sticks to a lesser degree, have some elasticity, to store some elastic potential energy from the incoming ball, to give the energy back to the ball as it leaves. For coin and paint stick, the soft wood of the paintstick gets dented on its edge after 10 or so trails, which affects how it hits the coin. Discount the turn if the coin rolls on its edge, leaves the edge of the paper. Graph results. Class data can be pooled.